Our innovative sound designers can bring your project to a new level with custom sound creation and foley. A massive sound effect server gives us lightning-fast access to the right sound for your project. 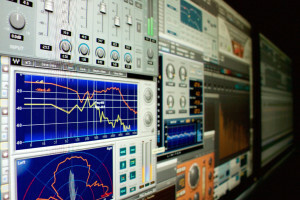 We specialize in sound for Film, Broadcast TV and Radio, Web, Video Game and Interactive projects.